Home >> Home Design >> Arrange your Kitchen, here’s how. Since you start your day here, it makes sense to beatify and plan your kitchen in such a way that it not only pleases the eye but also is smartly planned. If you have a small kitchen and are looking to beautify it, you have come to the right place. We can suggest you smart planning tricks which can get you the right results. If you are looking to arrange or rearrange wall cabinets, you can look for various options available in the market. 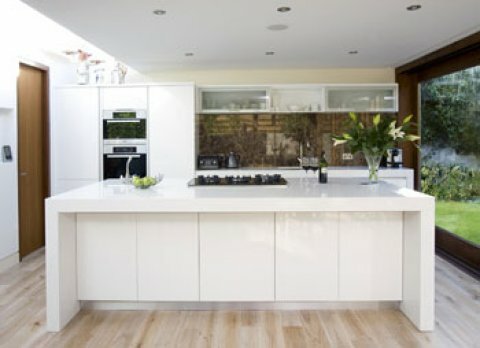 Before you start you need to analyse how much storage space you actually need in your kitchen. List down food items for daily use; these you would need with easy access. You need to place tea, coffee and sugar on counter or in a cabinet where anyone can find it easily. If you find the spices- dabba a drab, then you can either arrange the ingredients in small plastic bottles on the shelf right in front. These small bottles also can be fixed onto the wall for easy access. Segregate the cutlery and crockery section from the utensils section, and plan a modular cabinet based on your need you don’t need to go overboard on your budget so spend economically. You local carpenter can get the desired result, if you know exactly what you want. You can have colors in contrast to your tiles in kitchen, for your wall cabinet. Opt for pista green or tomato red to add color to your kitchen. Bright colors add to the ambience of cheerfulness and positivity.